Hartford Hospital was first in Greater Hartford to offer patients this new tool in orthopedic surgery: MAKOplasty® for partial knee resurfacing and total hip replacement procedures uses the RIO® Robotic Arm Interactive Orthopedic System. RIO is a surgeon-controlled robotic arm system that enables even more precise alignment and placement of implants. 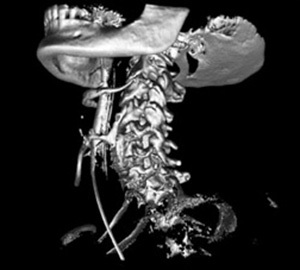 The O-arm® Surgical Imaging System, now in use at Hartford Hospital, is a multi-dimensional surgical imaging platform that is optimized for use in spine, orthopaedic, and trauma-related surgeries. Doctors at Hartford hospital have a new tool in place to help them detect and diagnose breast disease with confidence, making the experience more comfortable for nervous patients who may learn they have breast cancer. 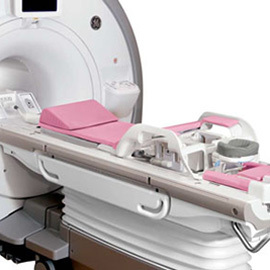 Hartford Hospital, a recognized leader in the treatment of stroke and vascular diseases, announces the installation a new, innovative imaging system that gives doctors the tools they need to more effectively diagnose and treat patients. 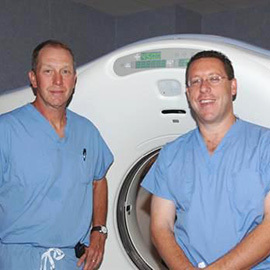 An innovative imaging system so fast that it can capture images of an organ in seconds—and a beating heart and coronary arteries in only five seconds—is giving Hartford Hospital physicians a diagnostic edge. A team of doctors at Hartford Hospital are setting the pace in targeting mitral valve disease (mitral regurgitation) by being the first to provide a breakthrough new treatment option for patients too frail to undergo open heart surgery. In March, 2014, Hartford Hospital was the first in Connecticut to implant a new implantable cardiac monitor (Medtronic Reveal LINQ). The Atrial Fibrillation (A-Fib) Center at Hartford Hospital is the first in the region to offer comprehensive evaluation and management services for patients suffering from A-Fib. On Oct. 31, 2012, doctors at Hartford Hospital were the first in the United States to place a right ventricular Impella device (a "mini heart") in a patient in shock because of a right ventricular infarction. The Stroke Center has experienced remarkable growth since beginning with a group of five core staff members. On March 31, 2011, Dr. Steven L. Zweibel, director of electrophysiology, was one of the first surgeons in the country to implant a new Medronic Protecta cardiac defibrillator, approved three days earlier by the FDA. Hartford Hospital was the first hospital in Connecticut that implemented this advanced technology, which reduces precious time in treatment during the most critical period of a heart attack - when every minute counts. 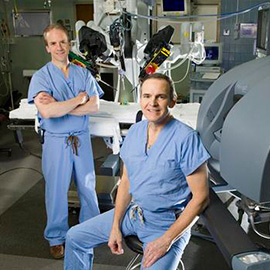 Armed with the tools of technology, Hartford Hospital cardiac surgeons are the first in the region to harness the power of robotics to perform heart operations with speed, safety and smaller scars. Doctors perform medical miracles every day, including bringing people back from the dead.